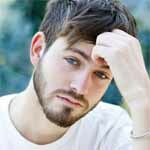 The best way to freshen up your look is not by going out on a major shopping spree. 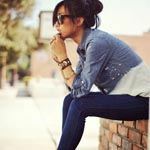 The smarter (and more economical) approach is to invest in key pieces that can update what you already own. Right now I am absolutely loving tie-neck blouses. They have a retro, secretary-chic feel to them that looks fun and unexpected when teamed with more modern pieces. The obvious styling route to take is pairing this blouse with a pencil skirt or tailored trousers for a clean and classic work-day style. However, it can easily go beyond the boardroom with a bit of creativity. Team it with cutoffs like Alexa Chung for a street chic look, or with cool leather shorts and leopard pumps like Olivia Palermo for a date-night ensemble that is both classy and enticing. A leopard printed tie-neck blouse, like the one seen on everyone’s favorite royal-in-law, Pippa Middleton, is the perfect way to wear animal prints in the day time. Just be sure to follow Pippa’s lead by teaming it with simple, everyday basics. One of my favorite ways to wear a tie-neck is with wide-leg jeans, as seen on Rachel Bilson, for more polished take on the ubiquitous boho-chic look. 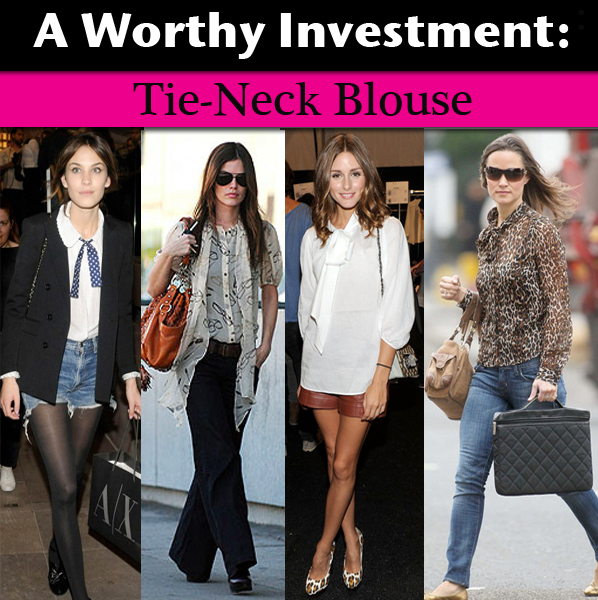 Yes, there is so much you can do with a tie-neck blouse which is why we’ve deemed it an investment worth making. 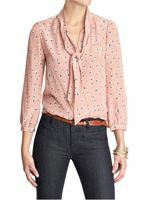 Wyatt Ghost Chiffon Tie-Neck Blouse, $78. A modern, feminine take on the everlasting tuxedo trend. Lanston Dolman Tie Blouse, $94. I never think of tie-neck blouses as being black which is why I was so drawn to this one. 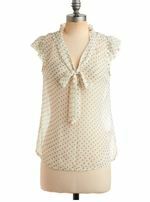 ModCloth If You Dot It Top, $44.99. Polka dots add a touch of quirky sweetness to any look. MinkPink Dead Poets Society Blouse, $74. There’s nothing wrong with kicking it old school and going for a classic white tie-neck. Collective Concepts Tie Neck Blouse, $64. A sweet, slightly quirky spin on the tie-neck that has a fabulous Parisian-chic quality. 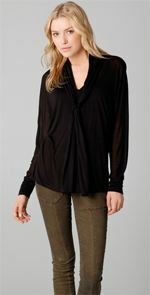 Parker Tie Front Silk Blouse, $198. Punchy shades make everything better during the dreary months. Robert Rodriguez Colorblock Tie Neck Blouse, $285; NOW: $199.50. A bonafide statement maker that commands attention. 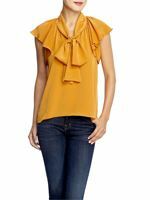 Marc by Marc Jacobs Kristi Tie Top, $278. A sweet ’70s-throwback that is too charming to resist. What do you think of the tie-neck blouse revival? Tell us in comments!